Saturday Night News and Notes - FTP Heads-Up, Cash Games, Turbo Takedown, "The Grinder"
1. FTP Heads-Up Championship. The tournament is currently paused and will resume on Sunday afternoon. There are four players currently left in the tournament: Andy Bloch, Emil "whitelime" Patel, David Singer and Brian Hastings. Andy Bloch is taking on "whitelime" in one semi-final match, and Singer is taking on Brian "$tinger 88" Hastings in the other. All four players are guaranteed at least $168k for making it to the semi-finals, with the winner receiving $560k. I'm picking Hastings to take down the whole thing. Whatever happens, this event was a huge success for Full Tilt Poker, as a number of the best players in the world turned out for the event. 2. FTP Cash Games in May. The big winner on the month is still David Benyamine, who is up an obscene $1.536 million dollars over 21,473 hands. "Ziigmund" is enjoying a strong month as well, having banked a total of $1.04 million in profits. 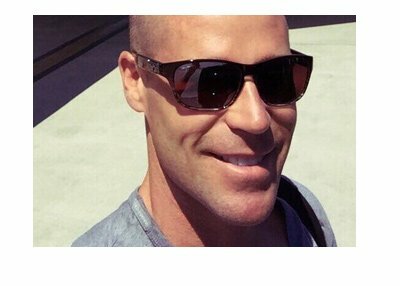 The top five includes some more familiar names, with Markus Golser, Cole South and "SteveSung" all having banked over $500k in profits for the month of May. On the flip side, Di "Urindanger" Dang is having a rough month, having dropped over $630k so far in the first 24 days of May. No one will play Dang in heads-up No Limit Hold'em, leaving him to have to play Pot Limit Omaha in order to get a game. "lady marmelade" has dropped $626k in May, and Eric Liu has dropped $623k. "EURO32PLYR" and "Ugadabugada" round out the top five list of losers with losses of $571k and $541k respectively. 3. World Series of Poker. The first event of the 2008 WSOP ($10k World Championship of Pot-Limit Hold'em) starts in just five days. Have you made your plans for the World Series of Poker yet? 4. Turbo Takedown on Pokerstars. If you are home for the holiday weekend and have some extra FPPs burning a hole in your account, then you should consider playing the Turbo Takedown. The buy-in is 5000 FPPs and there will be a maximum of 12,000 entrants. Currently there are 10,383 people signed up for the event. There is a million dollars guaranteed in the prize pool, with first place getting $100k. The top 4000 players will all receive at least $90. The event begins at 2:30 pm EST. 5. "The Grinder" vs David Oppenheim. These two squared off in the first round of the $25k Heads-Up event on Full Tilt Poker. Apparently, David Oppenheim had "forgotten" that the event was taking place, and was nowhere to be found when the match between Mizrachi and Oppenheim started. Instead of blinding his opponent off, "The Grinder" stalled as much as he could. Apparently, Mizrachi called Phil Ivey, and told Ivey to tell Oppenheim that he had a tournament to play, and that he would stall as long as possible. Oppenheim finally showed up and was short-stacked, but came roaring back to beat Michael "The Grinder" Mizrachi and move on to the next round. A pretty cool thing for Mizrachi to do, as there are plenty of well-known pros out there who would have blinded their opponent off as fast as they possibly could. 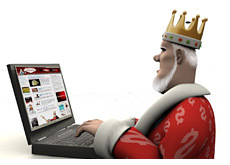 Tomorrow is a busy day in the world of online poker - we'll have plenty of updates once the big events have finished. 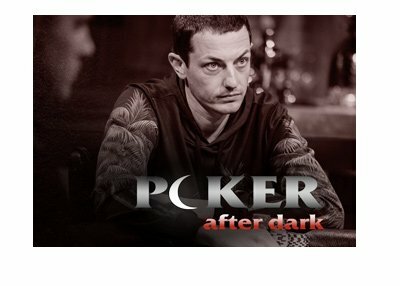 Tom Dwan Returning One Day Late To "PLOMG" Week on "Poker After Dark"